If you plan on taking charge of your finances in 2016, you may have put “earn more money” at the top of your New Year’s Resolutions list. But earning more money in your current job may be a difficult task unless you have a company that’s receptive to giving out raises, which in this economy, is far and few between. So what are you waiting for? Make 2016 the year you give your career (and income!) a boost. It’s time to find a new job that fulfills you professionally and financially. Here are 5 ways to do it. When applying for a new job, many applicants submit the exact same cover letter and resume to every position. This is a big mistake, according to human resource analysts. Job positions are very rarely exactly the same across the board, so why would you submit the same resume to different positions? Tailor your resume and cover letter to fit the job description. If one position is specifically looking for someone with Photoshop experience, highlight that in your cover letter and resume. Perhaps another position is focused heavily on strong writing skills—lead your cover letter with your writing strengths and any accolades earned for writing. Job searching this way can be more time consuming, but it can definitely help you find a new job much faster as you’ll stand out from the hundreds of other resumes and cover letters. If you’re like most people, you hate the idea of attending an event where you don’t know anyone and have to rub elbows with a bunch of strangers. However, there’s a reason that network organizations exist: they work. Get yourself involved in local organizations, whether political, religious, or just for fun. Any type of organization you get involved in holds the potential to expand your network and increases your chances of meeting someone who can help you with your job search. If you haven’t already, it’s important to sign up for job alerts that show up directly in your email with a list of all jobs related to your skills. Indeed, Monster, and LinkedIn are great places to start. Finding a mentor in your field is a great way to help your job search. A mentor—someone who has more experience than you—can give you bits of wisdom, guide you in your job search, and also help with job interview preparation. Think of former bosses who are personable and reach out to them to help you with your job search. If no one fits the bill, get acquainted with leaders in your network to whom you could reach out to for help. If you still feel like you’re not getting far in your job search, try looking at your resume to see where you could update your job skills to stand out from the rest of the crowd. Maybe taking a class or learning a new skill could help you advance. Is a higher degree necessary in your field? Before you jump in, always weigh the pros and cons of investing in your career and make sure the financial investment will help give it the boost it needs. Stop putting off the job search because of the time commitment. With a new year and a new sense of initiative, January is the perfect time to kick start that job search and launch the career you really dream of. 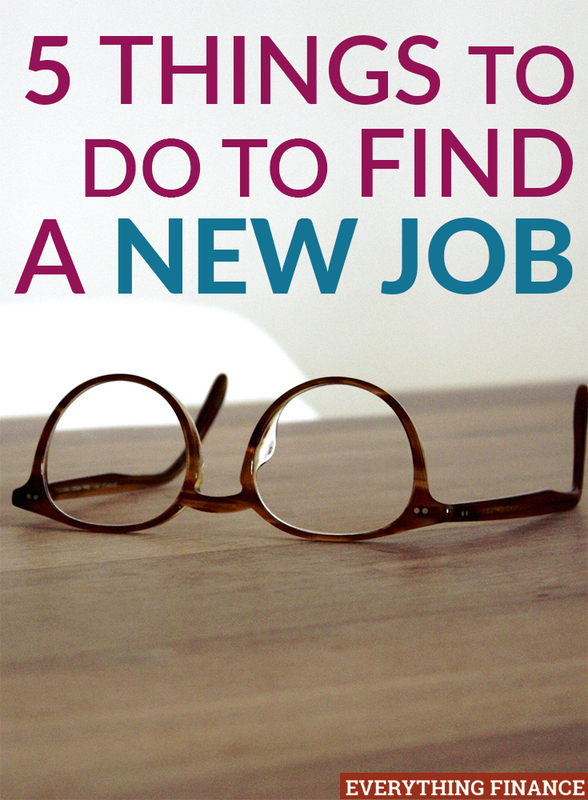 What steps have you taken to find a new job? How often do you update your resume? Do you have a solid network?